Tickets to Leonora Carrington include entry into Cathy Wilkes. The most comprehensive gathering of her works to date, Cathy Wilkes brings together more than a decade of the Turner Prize nominated artist’s consistently lauded practice. 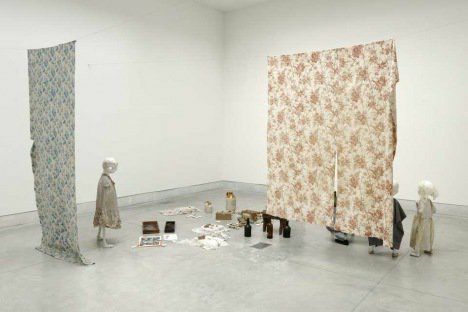 Since the late 1990s Cathy Wilkes (b.1966) has made installations and assemblages which combine investigations into sculptural art history often with personal references. Wilkes’s theatrical installations, which often incorporate paintings, open an investigation into the surreal and uncanny nature of everyday objects removed from context, as well as the communicative potential of art. The significance placed on each aspect of the installations highlights how our understanding of objects can transcend language barriers, offering a subjective experience to each visitor. Her large-scale installations make use of traditionally non-artistic materials and found objects such as shop mannequins, toilet bowls, cookers, ladders, latex, ceramic tiles and cloth. By using these domestic or abject objects in her installations, Wilkes elevates their status to that of fine art. The selection of works within the exhibition has been made in collaboration with Wilkes, who will adapt individual works as part of a larger whole, highlighting links and divisions between each piece. Creating one overarching installation, the exhibition will offer a sense of Wilkes’s professional development informed by personal experiences. Wilkes’s work is often intensely personal and biographical, responding to themes or specific materials which resonate with her personal experiences. While similar items appear and reappear across multiple works to create recurrent motifs, her work reflects a desire to avoid fixed meanings. Bringing together multiple works, Cathy Wilkes offers both a snapshot of, and insight into, the evolving practice and life of this most singular artist. 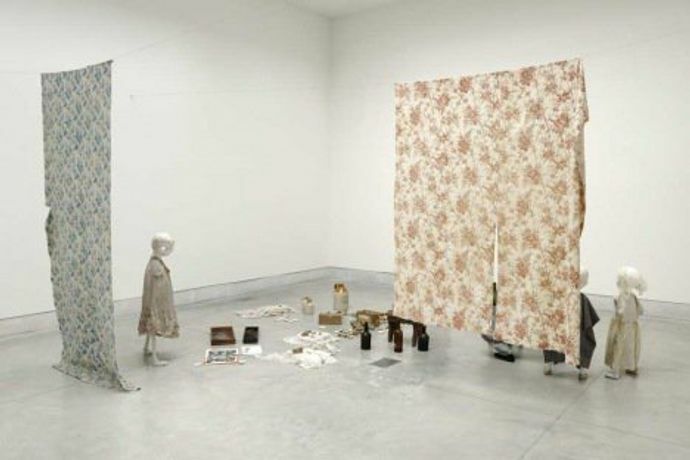 Cathy Wilkes has exhibited nationally and internationally at prestigious organisations such as the Carnegie Museum of Art, Pittsburgh and Kunstverein, Munich. In 2008 she was nominated for the Turner Prize for her solo exhibition atMilton Keynes Gallery. Wilkes lives and works in Glasgow.